Download our free Stop Smoking Guide Here! Join SF Stop Smoking to learn how to quit smoking, get personalized text messages, see your mood improve as you smoke less, and contribute to a body of research that will help more people stop smoking! We are a research team dedicated to using the internet to help people improve their health and their lives. 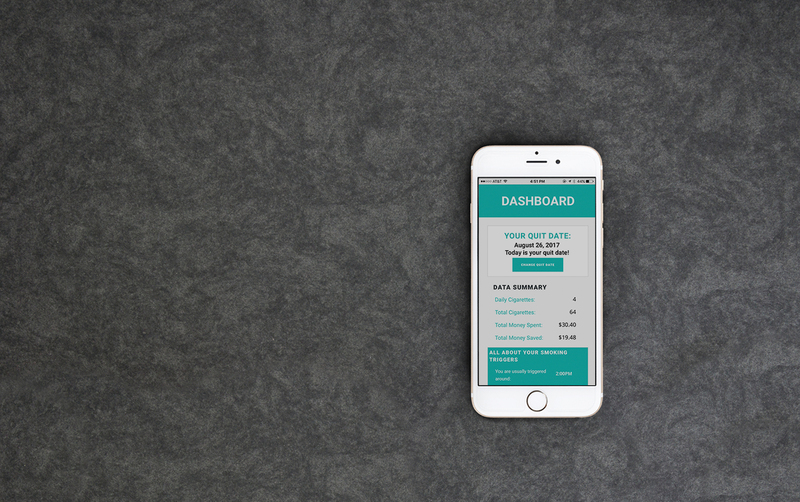 The tools we make are supported by science and based on feedback from users like you! Learn more about who we are and our research here. The goal of this website is to help smokers to quit by teaching them self-change skills. These skills are based on cognitive-behavioral approaches that may be helpful for many health problems. “Cognitive” refers to your thinking. “Behavioral” refers to what you do, alone or with other people. This approach helps people identify helpful thoughts and activities that help them achieve what they want. The Healthy Management of Reality is a free download that describes how we think about healthy ways to take greater control of your life. 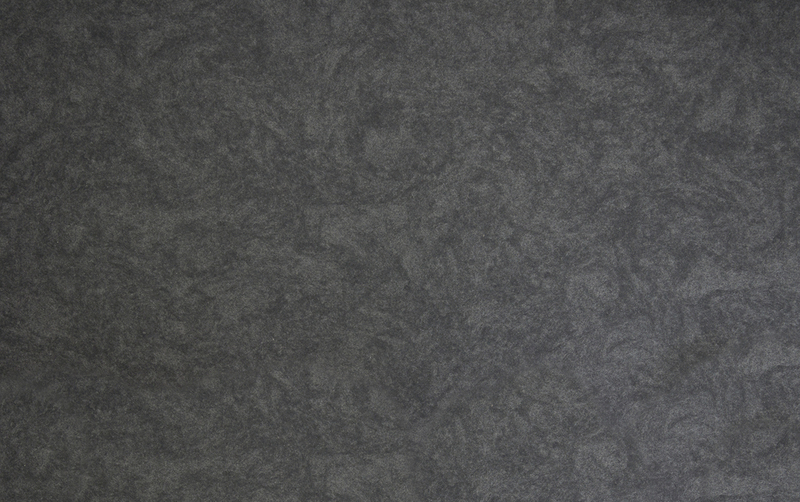 It talks about ways to shape your life in general, and goes beyond smoking too. NOTE: We will never share or sell your information. This website is free and always will be. CLICK HERE to read our full explanation of your rights and what you can expect. 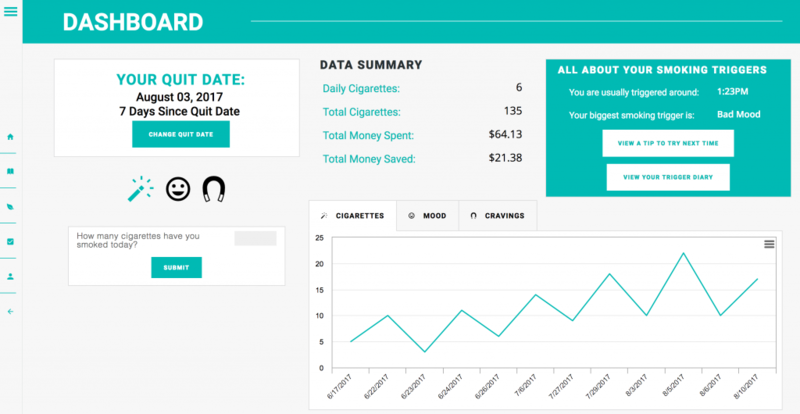 The dashboard contains all of your smoking data, including your quit date, data summary, and graphs of your mood, cigarettes and cravings over time. 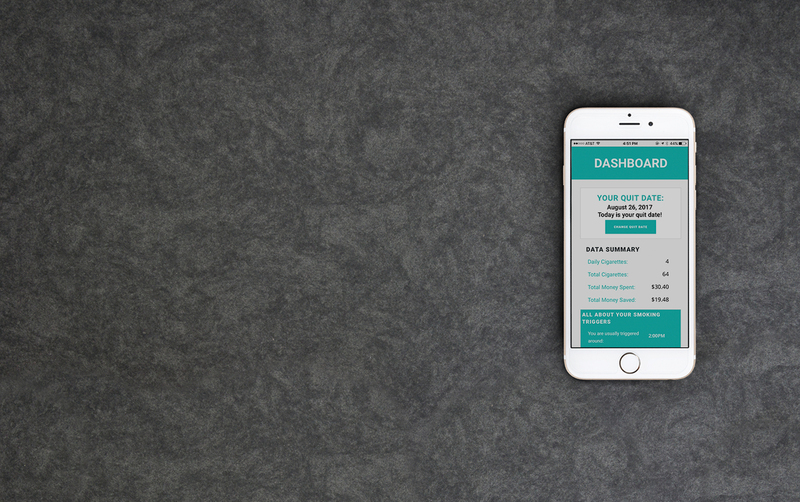 You can also track your data here. 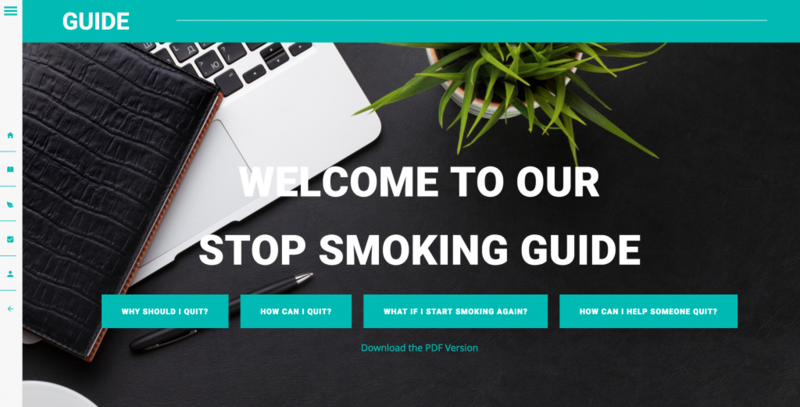 Read our Stop Smoking Guide in an interactive way! Find out why and how you can quit smoking. 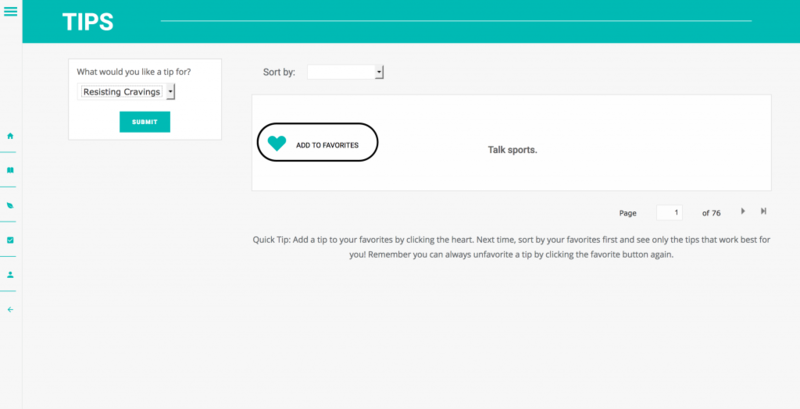 View tips that help you! See tips for improving your mood or resisting cravings and favorite the tips you like the best. 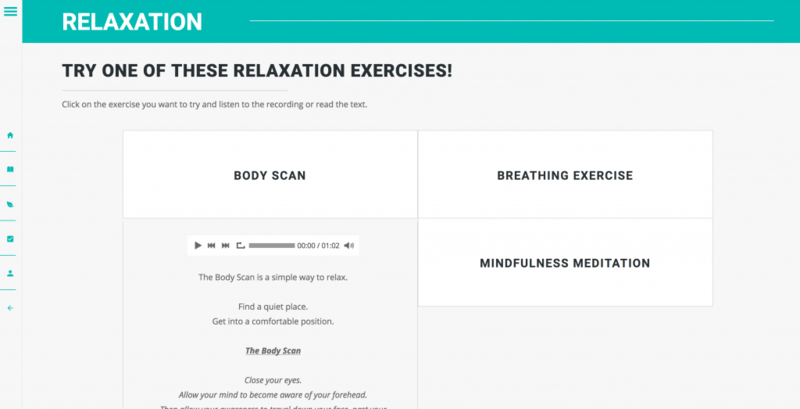 Listen to our different relaxation exercises and learn how to be mindful day-to-day. 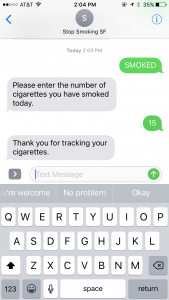 See all of your smoking triggers in one place! See what triggers you to smoke the most and what time of day you are often triggered so that you can better prepare for the future. When you quit, you can live a longer, healthier life. Set a good example for your kids, and keep them healthy too. Quitting will save you so much money. Can’t afford the patch or nicotine gum? Call 1-800-662-8887 for help. Get rid of cravings that take over your life. Get free of cigarettes and you’ll have more time and energy. This website will help you learn healthy ways to manage stress, with no negative side effects. Smoking is bad for your health. When you smoke, it’s hard for your body to heal, and you get sick more. Smoking damages almost every single part of your body. Smoking is bad for other people’s health. Your kids, friends, and even your pets are harmed by smoking, even if you don’t do it in front of them. Smoking costs you money. You could use that money to do so many other things! Can’t afford the patch or nicotine gum? Call 1-800-662-8887 for help. Smoking is bad for the environment. Cigarette butts don’t decompose. They damage the water and land, and they are very poisonous if consumed by a child or animal. Smoking isn’t a long-term solution to stress. 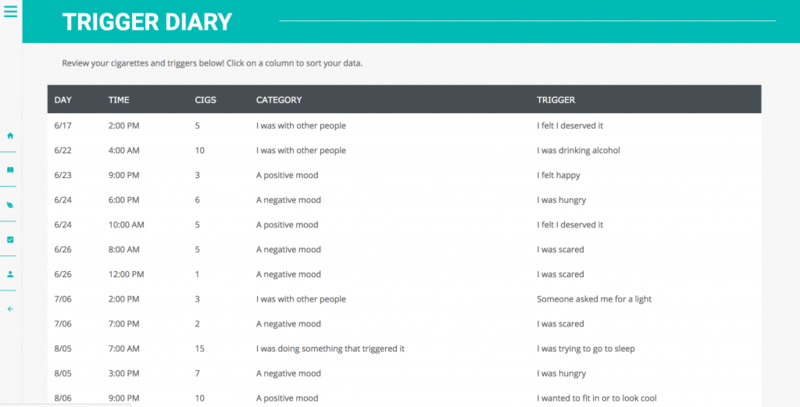 This website will show you other methods to manage stress and bad moods that are effective, healthy, and have no negative side effects.